Scroll down for a Map Of Connecticut. 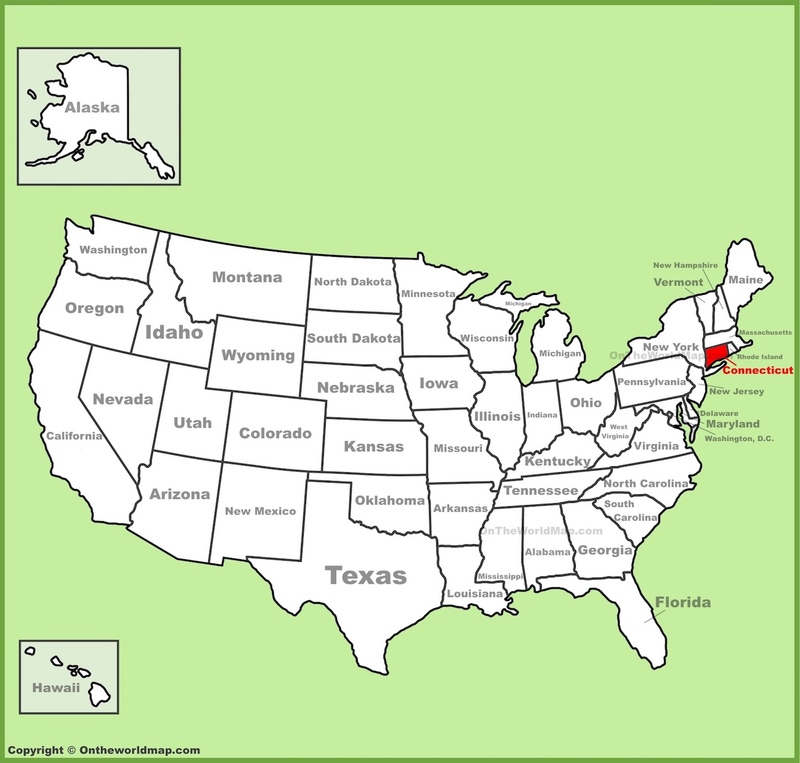 The above US map shows the location of the state of Connecticut in relation to other US states. Read on to find out fun facts about Connecticut, and also find links to other free printable maps. Connecticut is home to arguably the world's best college - Yale University in New Haven. Despite its small size, Connecticut is home to more than 3.5 million people. The Pine Ridge Indian Reservation in South Dakota is roughly the size of Connecticut, yet only about 30,000 people live there. Famous people from Connecticut include Audrey Meadows (Alice Kramden from the Honeymooners), portrait photographer Annie Leibovitz, fashion designer Betsy Johnson, actress Katherine Hepburn, and former US president George W. Bush. The name of the state of Connecticut is derived from a Native American word meaning "long river." Native American tribes who once lived in what is now Connecticut include Mattabesic, Mohegan, Niantic, Nipmuc, and Pequot, among others. The world's first telephone book was published in New Haven in 1878. Connecticut still publishes America's oldest newspaper - The Hartford Courant, established in 1764. The first color TV was built in Connecticut in 1948. It is illegal to cross a street in Hartford while walking on your hands. 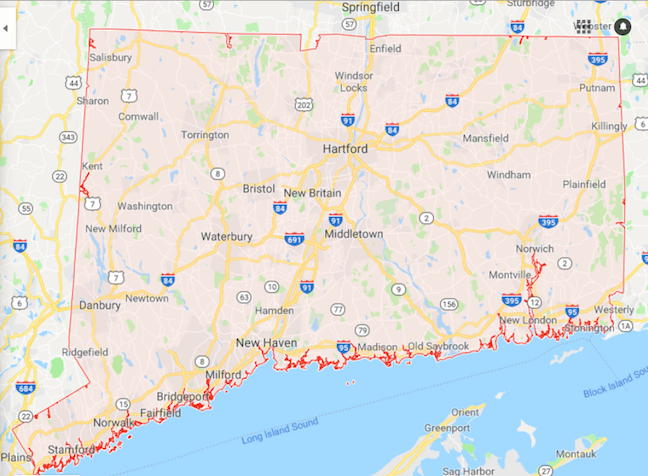 Above: A free printable google map of Connecticut. This map shows cities, towns, and major roadways.